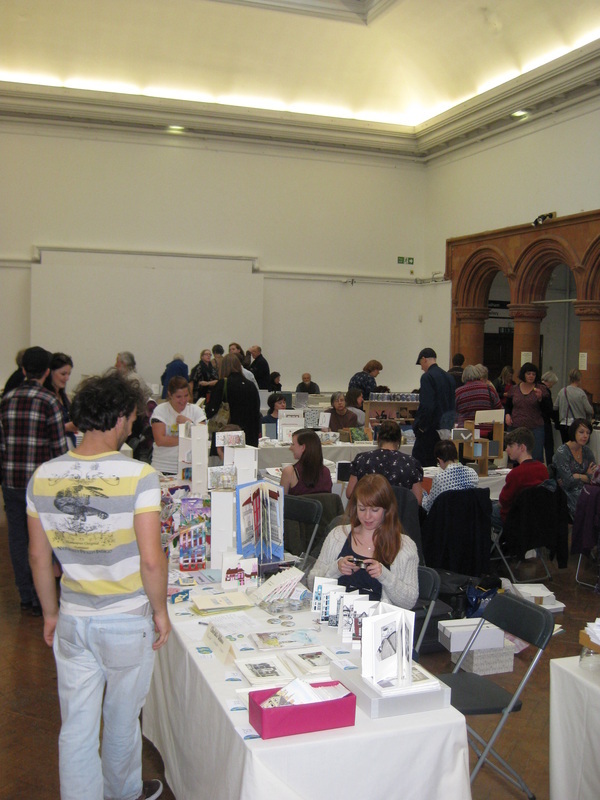 Of course, superficially one Manchester Artists' Book Fair held in the Holden Gallery will look very much like another Manchester Artists' Book Fair held in the Holden Gallery, but those people in the pics below should be able to guarantee that these were from the 2011 fair. 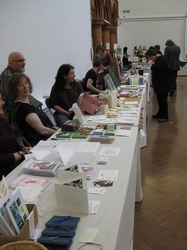 We prevailed upon Sue Shaw to demonstrate the fine art of marbling paper during the fair, and also upon Kathryn Cleverly and Lois Gilbert to show off letterpress printing on one of our adana presses, while Benedict Phillips gave a talk about his Benedictionary and dyslexia. Here is a list of exhibitors from the 2011 fair. 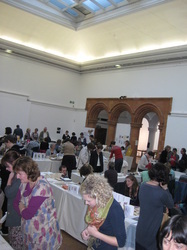 Any links are from the catalogue for that year and may be out of date.